The National Numismatic Collection is dedicated to inspiring and educating a new generation of coin and currency enthusiasts. 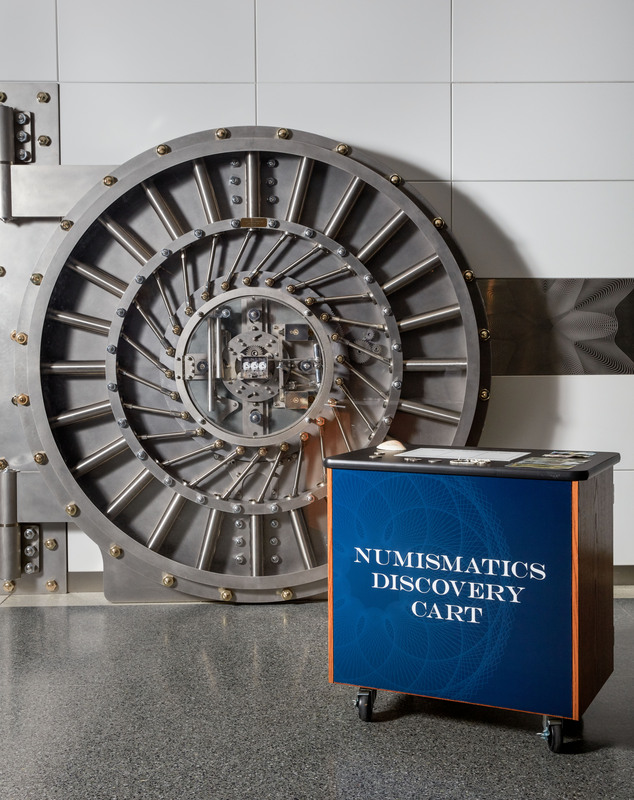 During your visit to the museum we hope you will enjoy the Numismatic Discovery Cart outside The Value of Money exhibition. Access to the cart is subject to docent availability. This hands-on cart will encourage visitors to think like collectors and hone their observation skills as they use sight, smell, touch, and hearing to distinguish counterfeit coins and banknotes from genuine currency, and learn about the ways in which artisans, experts, and even criminals have innovated new ways to make and fake currency from colonial America to the present day. Learning Lab enables you to search the Smithsonian collections, create and personalize your own collections, and share them as you wish. It is an excellent resource for teachers, students, and anyone with an interest in learning. Demand notes like this one were issued at the beginning of the Civil War. Click here to see the full record and read more!